Blanking out Wales and Scotland and certain local authorities from map of Local authorities in UK? 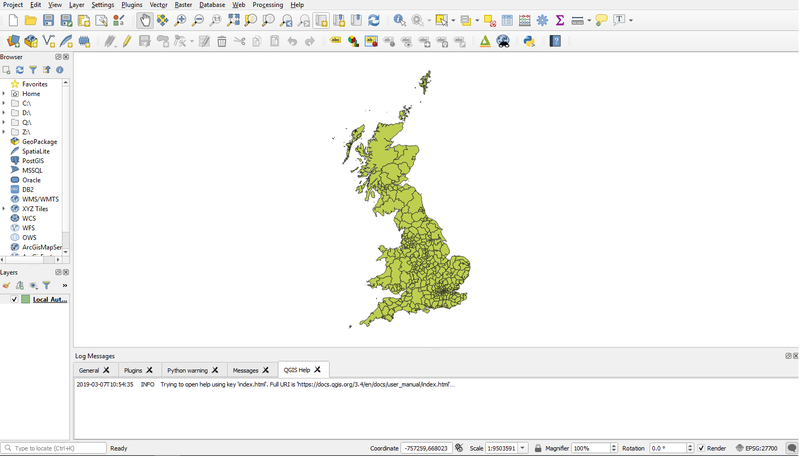 I have used a shapefile I've downloaded from ONS for the UK's local authorities. However, I am only interested in certain local authorities in England and want to blank out Scotland and Wales. 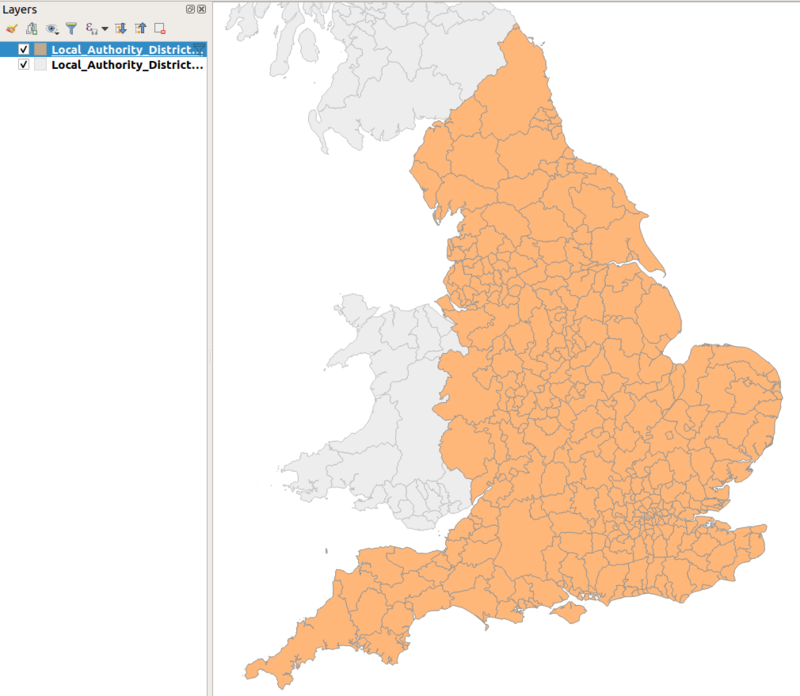 The objects (polygons) in this ONS Local Authorities dataset do not have a 'Country' attribute. They do however have a 'lad17cd' attribute whose values are eight-digits preceded by a letter, 'E' in the case of English districts. 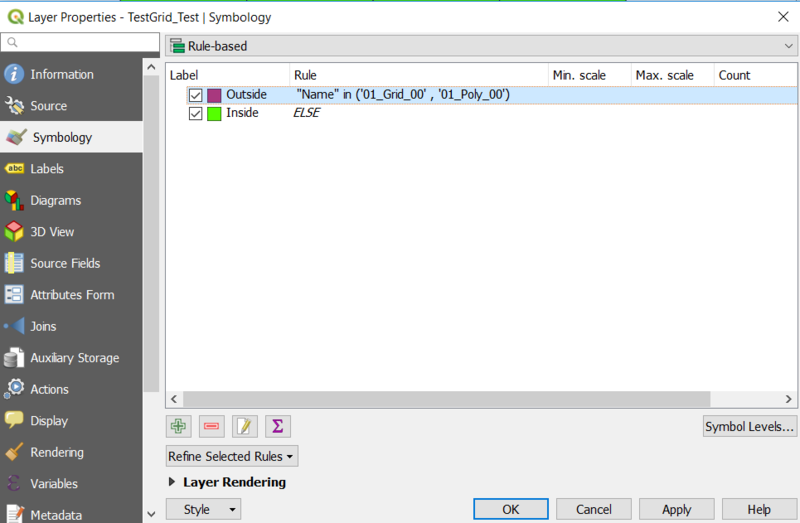 This means the shapefile can be filtered to include only English districts. 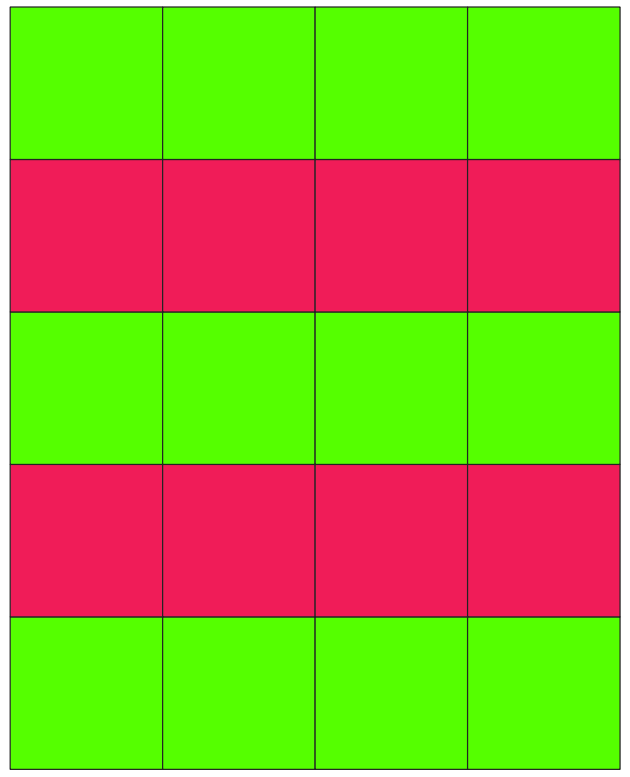 This should filter out the Scottish and Welsh polygons leaving just the English ones. If you want to show the Scottish and Welsh polygons in, say, light grey, load the shapefile again and drag it below the filtered layer in the layers panel, then style it in light grey, or as required. Not the answer you're looking for? 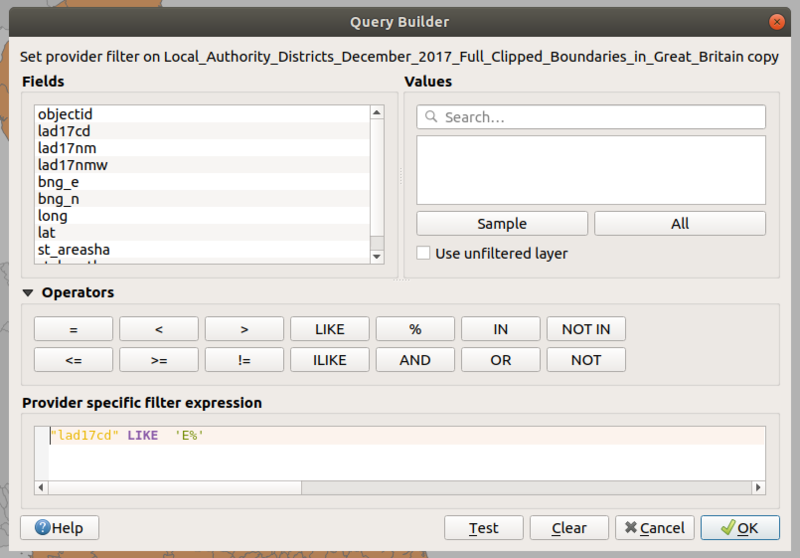 Browse other questions tagged qgis shapefile or ask your own question. 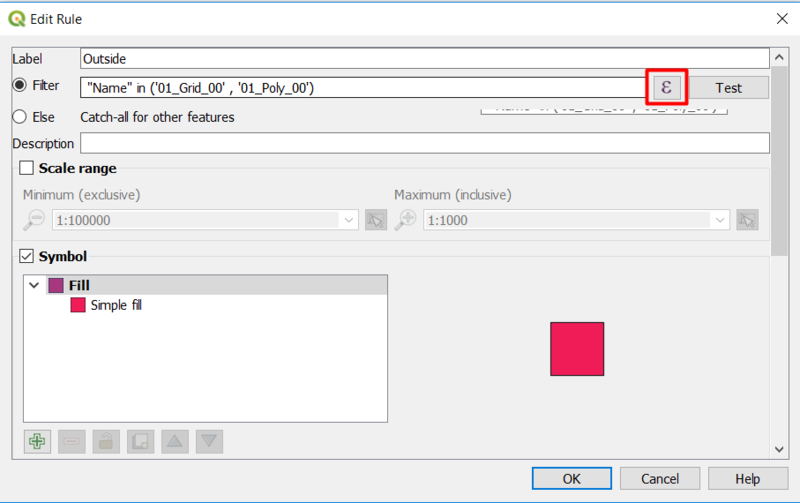 Joining Excel table to shapefile in ArcMap? What is the process by which ONS creates “Generalised” and “Ultra Generalised” Clipped Boundary shapefiles?